Are you in Love with a Church Girl? I’M IN LOVE WITH A CHURCH GIRL is a powerful, inspiring story of a love between a man and a woman, a gift of second chances, and a family at home and in church that never stops praying and believing. 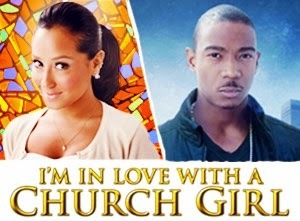 I’m in Love With a Church Girl opens in theaters October 18. Enter to win a pair of movie passes.